Dalton, Georgia -- Bluegrass Bands, Helping Hands will present "an evening with John Cowan" on Saturday June 9th 2012 in the Historic Dalton Freight Depot located at 305 S. Depot Street, Dalton, Georgia 30720. One of the true musical innovators, John Cowan rose to fame when he became the lead singer for New Grass Revival and introduced a new generation of music fans to an explosive, experimental brand of Bluegrass Music -- "Newgrass". The Newgrass Revival disbanded in 1990. 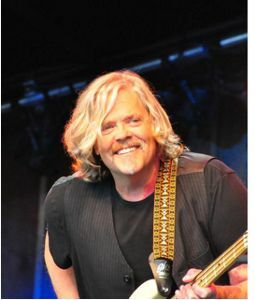 Currently when John is not on the road playing bass and singing with the Doobie Brothers, he returns to his roots in Newgrass with the John Cowan Band. "Our music has evolved organically, it's rooted in my Newgrass days but I'm also exploring and breaking new ground as well" (Cowan). The June 9th performance in Dalton is a continuation of the efforts led by the Bluegrass Bands Helping Hands organization which released a CD (Bluegrass Bands Helping Hands Volume 3 - Big Leagues) last year to benefit The Miracle League of Whitfield County (Georgia). "We are thrilled to partner once again with Bluegrass Bands Helping Hands to help raise awareness of the Miracle Field and its mission. The Miracle Field is currently under construction with an opening day planned for summer 2012, followed by a fall season of baseball. We will be putting out the call soon to register players and volunteers, for anyone who wishes to play, coach, or be a buddy. " says Millie Hicks, Miracle Field organizer. "We are continuing to raise funds for a fully handicapped accessible playground to be built alongside the Miracle Field for all children and their families to enjoy." The concert is sponsored in part by the generous support from Pauline Melton and David Aft, Dalton Downtown Development Authority (DDDA) and Masingill Clean Air. The performance will begin at 7:00 PM with doors opening at 6:00PM. Seating is limited. Tickets are available for $15.00 and may be purchased at the Freight Depot Gift shop or following the links at www.bluegrassbandshelpinghands.com . A portion of the concert proceeds will benefit the Miracle League.